L'Inconnu de Shandigor. Sylvaine and Manuel in the rooftop of La Pedrera. Serge Gainsbourg playing "Bye Bye Mister Spy"
La Pedrera has been used as a setting in more than fifteen films, including Gaudí (Josep Maria Argemí, 1960), Vicky Cristina Barcelona (Woody Allen, 2008), Rastros de sándalo (Maria Ripoll, 2014), The Passenger (Michelangelo Antonioni, 1975), starring Jack Nicholson and Maria Schneider, and Biotaxia (José María Nunes 1968). http://pedreraeducacio.lapedrera.com/eng/index.htm in the “A place of fiction” section. We are convinced that La Pedrera has featured as a location or a backdrop in many other films. In this connection, Merli Marlowe has brought one such film to our attention, a jewel of Swiss cinema: L’inconnu de Shandigor, released in English as The Unknown Man of Shandigor. Directed by Jean-Louis Roy, The Unknown Man of Shandigor (1967) is a send-up of the secret agent movie genre, above all the James Bond films. The Swiss director describes The Unknown Man of Shandigor as a fantastic espionage film that salutes the adventure films of his youth by evoking the Cold War through various whimsically baroque scenes and personages. 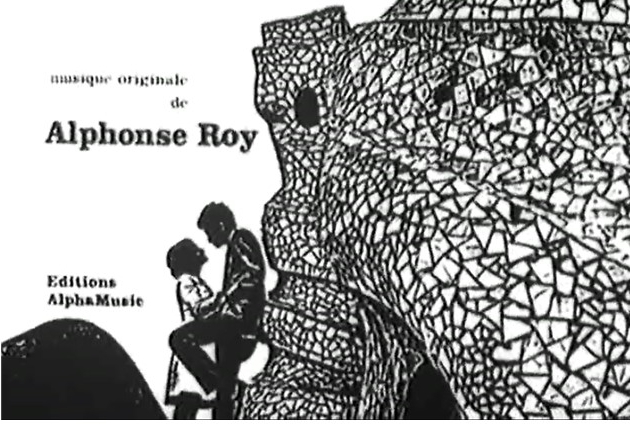 Roy’s admiration for architecture is hinted at in the film’s title, which pays a subtle tribute to Le Corbusier and Chandigarh, the city the Swiss architect planned in India. Yet he largely uses the works of Gaudí – with their rounded, bizarre forms – to conjure up an atmosphere that is at once spelling-binding and exotic. 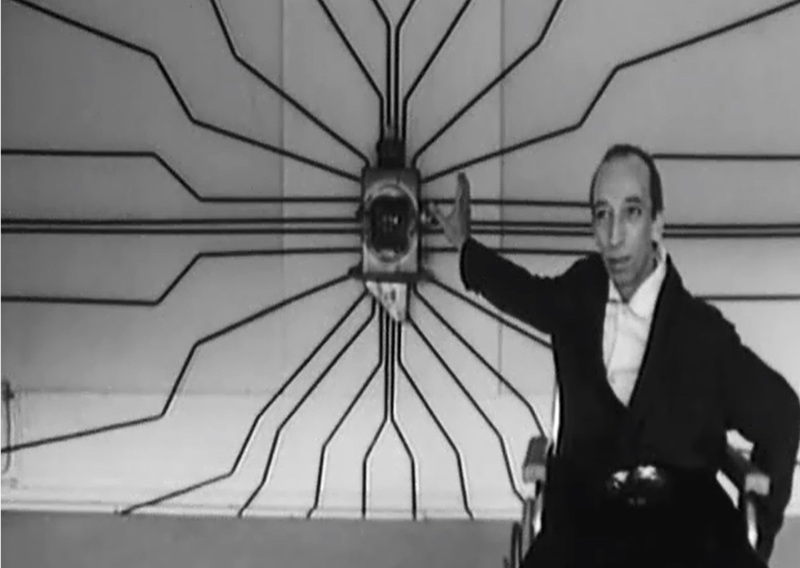 An eccentric scientist, Von Krantz, invents the Annulator, a device capable of neutralising nuclear arms. Von Krantz is an invalid who lives in seclusion with his daughter Sylvaine and his albino assistant Yvan, over whom the scientist exercises a ruthless control. The intelligence services of various foreign powers and other organisations, such as “Les Chauves”, run by Serge Gainsbourg, and “Les Asiatiques du Soleil Noir d’Orient”, have ordered their agents to seize the plans for the Annulator. The plans are hidden in some home movies made on a holiday in Shandigor (which bears a striking resemblance to Barcelona...). The rooftop of La Pedrera provides the setting for a reencounter between Sylvaine and her former lover, Manuel. After having accidently discovered the hiding place of the plans, Sylvaine flees from her father’s house, only to be captured by a group of Baldies who drug her in order to extract information. Delirious, Sylvaine keeps repeating “Shandigor” and “Manuel”. The Baldies let her escape to Shandigor in hopes she will lead them to the secret weapon plans. Sylvaine and Manuel meet up and wander through deserted locations including Parc Güell, the Tibidabo attractions park and La Pedrera. The couple are observed strolling around the rooftop by a Baldie hiding between two chimney stacks. 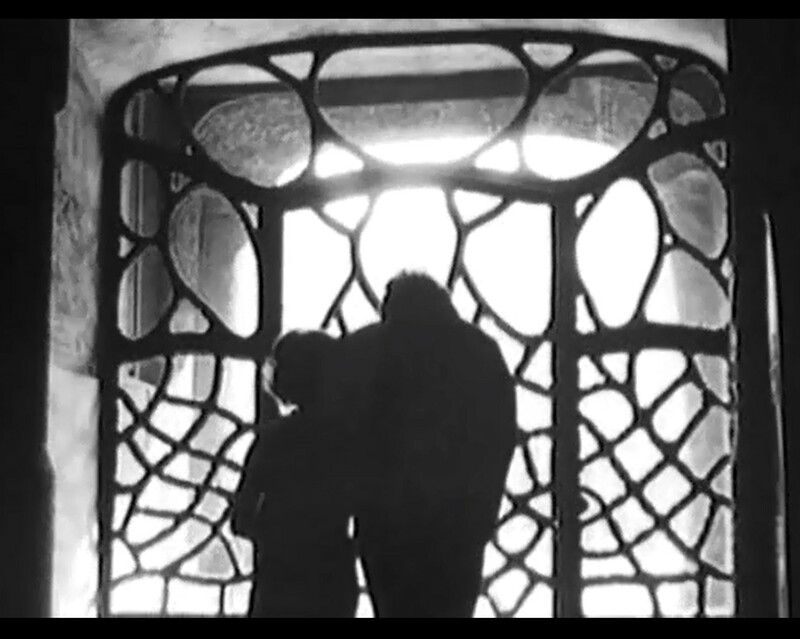 La Pedrera and its elaborate forms help, like many of the other of the film’s settings to create an intentionally chilly and mysterious atmosphere. The state of neglect seen in the peeling stucco of the La Pedrera’s chimneys helps to heighten the spookiness of the scene. The Unknown Man of Shandigor is an anomalous work in Roy’s oeuvre that has gained a cult status thanks to the performance of Daniel Emilfork (Von Krantz) and the use of some impressive scenery. 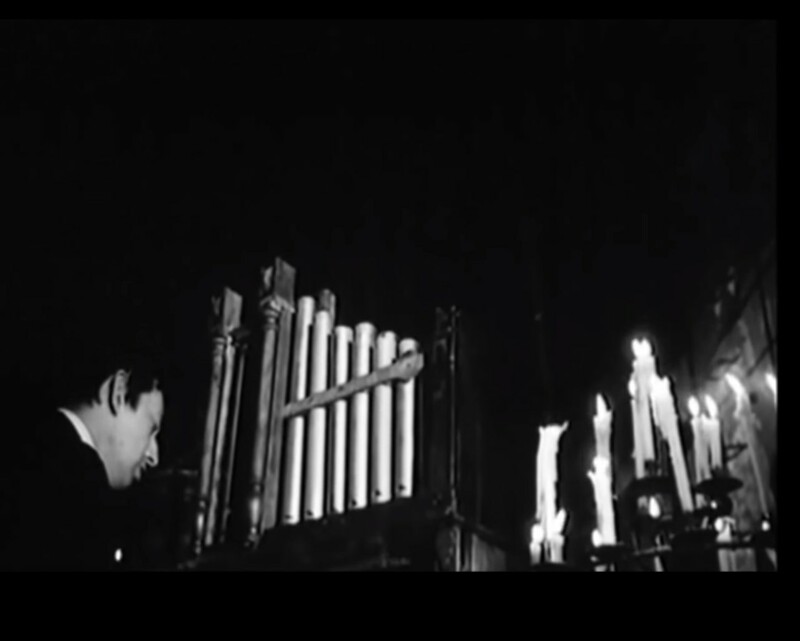 The director uses the pseudo-futurist baroque and geometric forms of the different locations – both in a district of Geneva, with its Bains des Pâquis, Château El Masr and La Gordanne, as well as in Barcelona, especially with Gaudí’s works: Parc Güell, the Sagrada Familia and La Pedrera. Jean-Louis Roy began his career as a cameraman for Swiss television in 1954. Before becoming a director, he worked in set design. In 1970 he shot Blackout, as a member of Group 5, made up five directors who worked on the fledgling Swiss television. In 1972, he directed L’Indien des Acacias, followed the next year by La Maison des souvenirs, and in 1984 Romands d’amour. He retired in 2006. The film premiered at the 1967 Cannes Film Festival. It enjoyed little commercial success, and in July 2016 a restored version was shown at the 70th Locarno International Film Festival in the “Rediscovered Swiss Cinema” category.